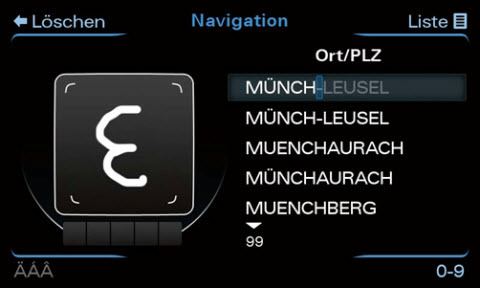 Audi was looking for innovative input devices for its Multi Media Interface (MMI). It evaluated touch pad interaction for handwriting recognition, a touch screen, and other input means. The challenge was to bring the new concepts to life as early as possible. Audi used EB GUIDE Studio to evaluate the concept within user clinics in the USA and China. Test users were able to experience the new interaction concept as part of tests long before they were realized in EB GUIDE Studio.